It is very true that in the boating world we rely on expensive maintenance of our engines, the fear of engine failure or problems at sea are at the forefront of our minds. Sometimes owners of boats simply do not maintain their engines regularly, but when they are ready to sell they have them maintained in the hope it appears the boats is cared for. It’s not just about the regular maintenance, it’s about the general way we treat our boats or engines. Its perfect to have various filters and separators but if we do not check them regularly or change them regularly – it’s pointless in having them as they will simply block the engine and turn it off. The RNLI and Engineers will refer to “good routines” on top of “regular” engine maintenance and one of the most important routines is ensuring the fuel you put in your engine is clean and the engine is able to continue to filter it, in addition to your coolant system being able to keep clean and allow plenty of fresh water around the engine. These two parts of boat maintenance are the most popular causes for rescue or immediate aid, but also the most preventable. Our advice is to learn about your engine’s needs, only put clean fuel into it, ensure you know how the engine then continues to filter its fuel. Learn how to change the fuel filters and water separators and also learn how to keep the coolant part of your engine in tip top condition. If it becomes routine it is unlikely you will have a problem, but the benefit of routine means that if it does become a problem – you are likely to know how to deal with it and keep yourself and family safe. 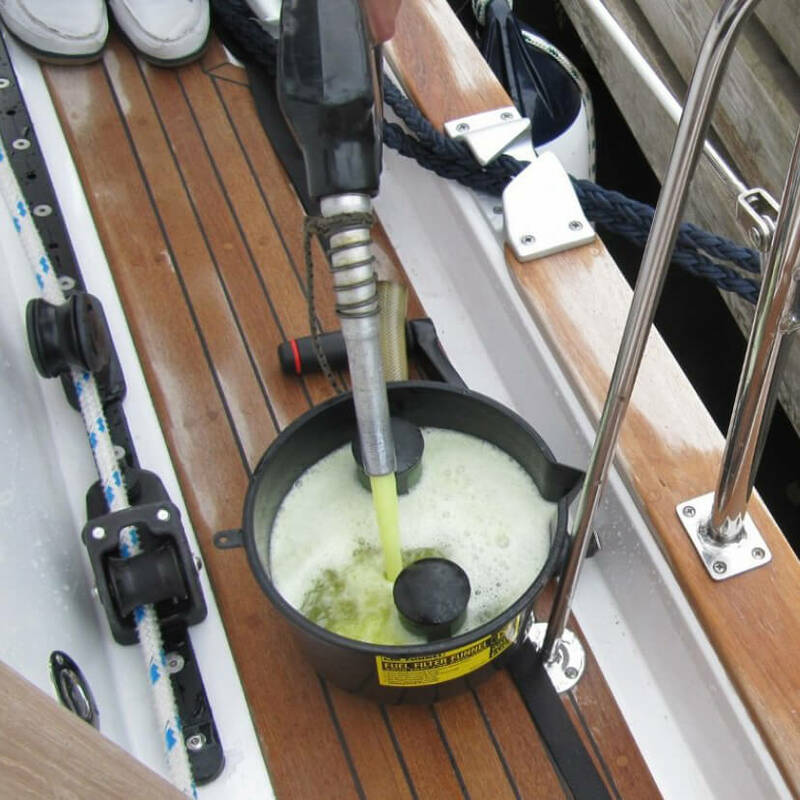 A good marine engineer will happily show you the important parts of the coolant and fuel system on your inboard or outboard engine and how to check them. There is lots of resource online – particular the RNLI website has valuable data to help you and also the RYA website has valuable resource too – along with their very comprehensive Engine related courses. Keep your fuel clean and stay safe.